Please note that the content of this book primarily consists of articles available from Wikipedia or other free sources online. 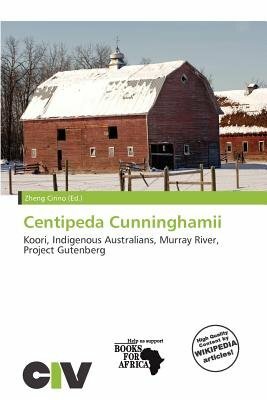 Centipeda cunninghamii is commonly known as Old man weed, being the literal translation of its Koori name Gukwonderuk. It is a plant known to indigenous Australians for its medicinal properties, and grows along the Murray river, or generally anywhere there is water, especially low lying or swampy areas. It can be identified by its unique shaped leaf, and its pungent scent, which is pine like and minty. The names Common Sneezeweed and Scent Weed, which were given by European settlers, are increasingly falling out of use.